In Komalikudi, Kerala, villagers are celebrating a new milestone. They can now choose power from sources of solar, hydro or the state grid. No other village in the state has access to such choice—truly an achievement of self-reliant energy. The villagers’ decisions will depend on availability of the renewable energy. The Mata Amritanandamayi Math had already electrified the village via an integrated off-grid system of 5 KW hydro and solar power. 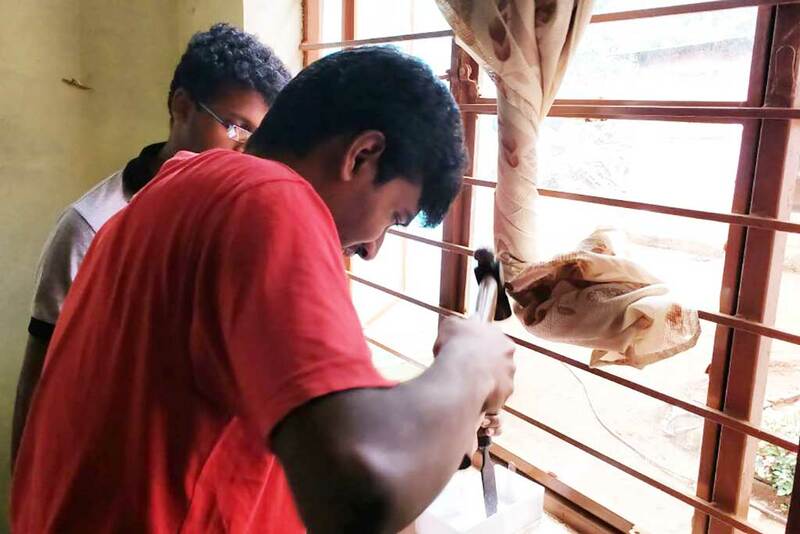 Now engineering students from Amrita University helped connect Komalikudi to the state grid through a modified wiring network. Under the Live-in-Labs® program, people with the Electrical and Electronics Engineering Department, Coimbatore Campus, adjusted the existing installation and also installed electrical cables in newly constructed houses. So, the villagers can also connect themselves to the state power grid and use the power on tariff basics. This electrical network is vital as it also supports the water distribution system in the village, which provides drinking water 24/7 to the villagers. The grid also generates power for Amrita SeRVe’s development work in Komalikudi and education programs run by AmritaCREATE and the Kerala government. The students and staff are extremely grateful to be part of this project and to be able to contribute to Amma’s efforts to transform this village into a self-reliant one. Amrita SeRVe Fellow Mr. Sreeni mentioned that attaining self reliance in energy is a huge achievement, as the village can now choose among multiple options for its development and growth.